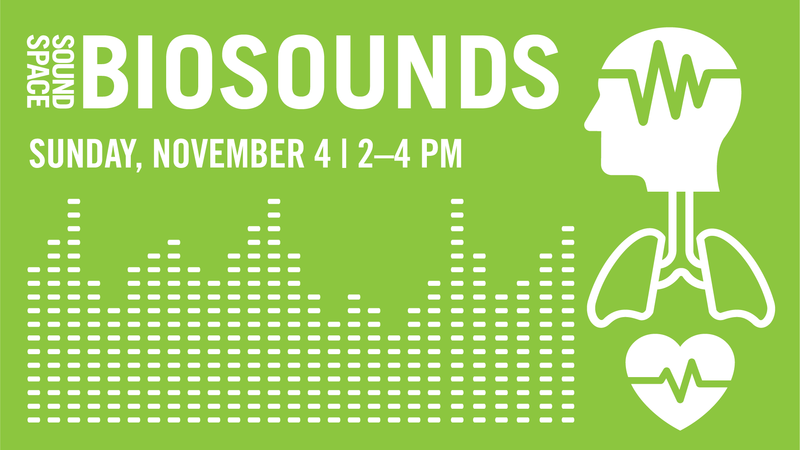 04nov(nov 4)2:00 pm(nov 4)2:00 pmFeaturedSoundSpace: BiosoundsJoin us for the 20th event of this award-winning series! SoundSpace: Biosounds features music inspired by the sounds and processes of the human body and medical procedures: music that incorporates heartbeats, brainwaves, pacemakers, and the sonification of bio data. Graham Reynolds will present a work in progress of “The Brain,” a piece he composed for the project Sound of Science, a project led by cellist Jeffrey Zeigler. “The Brain,” a composition for cello with electronic instrumentation, is the result of Reynolds’s collaboration with UT Austin neuroscientist Kristin Harris, whose research focuses on mapping the brain. Invoke quartet has written new music for each body part featured in the board game Operation, such as “butterflies in the stomach” and “broken heart.” In this interactive performance, audience members will play the game of Operation, and the quartet will play music in response to the audience member’s moves. In Thomas Echols’s piece “Conventional Biofeedback,” readings of muscle tension, heart rate, and galvanic skin response will control the sonic parameters of the composition, facilitated through the use of custom software and circuitry made by the performer. “Geräusche” by Verena Gaudy and Martín C. Rodríguez will feature a collaborative, experimental way of composing audioscapes with the human body through the collision of flesh with internally and externally generated sounds. Jason Cella will play live electronic music alongside a solo dance by Rosalyn Nasky. The goal of the performance is to sculpt the volume and pressure of sonic and visual space through a close relation of detailed, textural music and stark, anatomical movement. Arts Hall of Famer / and Deep Listening© practitioner Heloise Gold will be inviting visitors to take part in a short participatory work. This part of the program (which is very low pressure) will end the concert at approximately 3:45-4:00. Additional performers and collaborators include Christie Blizard, Michael Anthony Garcia, Alan Retamozo.